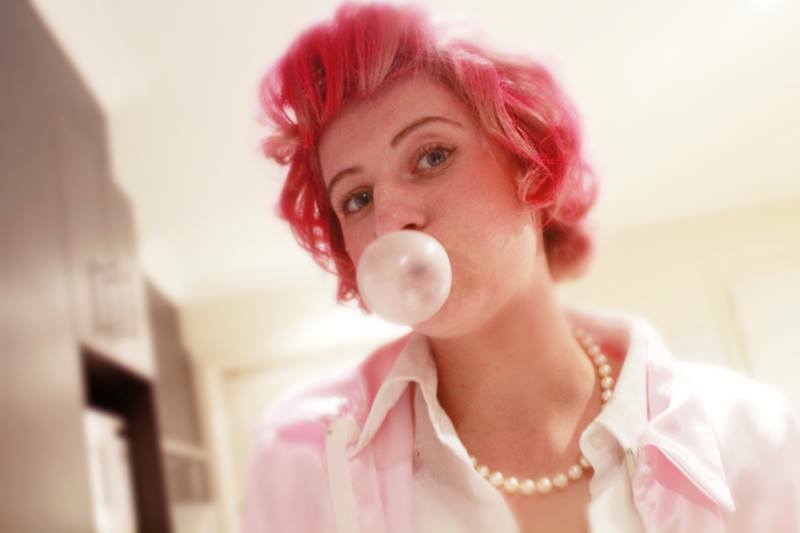 DIY EVENTS: Host An “If Life Were A Musical” Party for Under $50! Everybody at one stage in his or her lives has wished that life were like a musical. Everyone would be great singers, would join in with perfectly choreographed dance routines like it was part of a flash mob and life would generally just be happier. My favourite episode of the TV show Buffy the Vampire Slayer was definitely the musical episode “Once More with Feeling” and I have to say that I am quite the sucker for Glee, Grease and any other musical themed shows and productions. My friend Alice, who is currently traipsing the world on a trip I am very jealous of, told me about a party she went to once where it was themed “If Life Were A Musical”. I thought this was a fabulous idea for a party and thought I would share a DIY Event post with all of you lovely readers about how you can host one of these parties yourself. Enjoy! It’s a musical themed party, so where would your decorations be without the classic musical notes such as the treble clef, minim and the quavers? Get a series of black cardboard (because musical notes are generally printed on black ink) and cut out these musical note designs in large sprawling blocks. Use a hole punch from your stationary cupboard and punch a hole through the top of each of the notes. Next, get a black or white piece of bakers twine and thread it through each of the holes and tying a knot between each one so the notes won’t slide around. Now you have a musical note bunting banner that you can hang up anywhere in your venue! 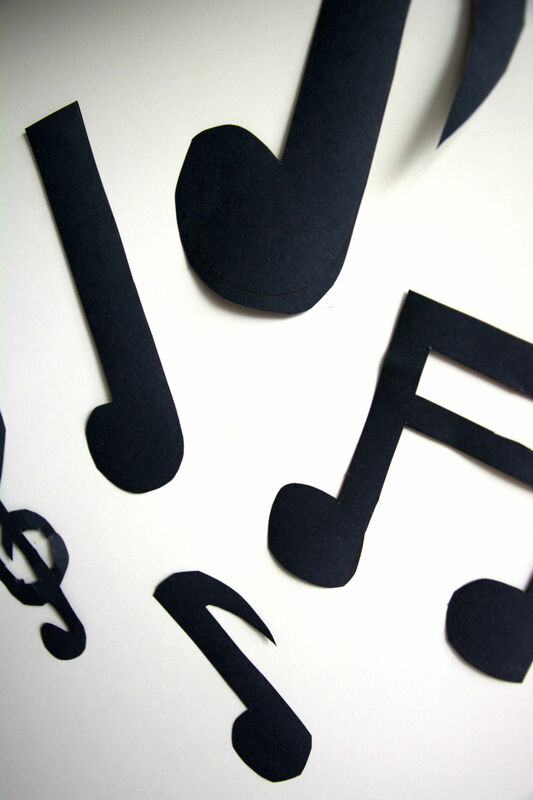 You can also simply cut out the musical notes and stick the singular pieces on the walls to jazz up a dull wall, and if you cut smaller notes and tape them to toothpicks you have an instant cupcake topper or candy topper that matches your theme for half the price – Perfect! 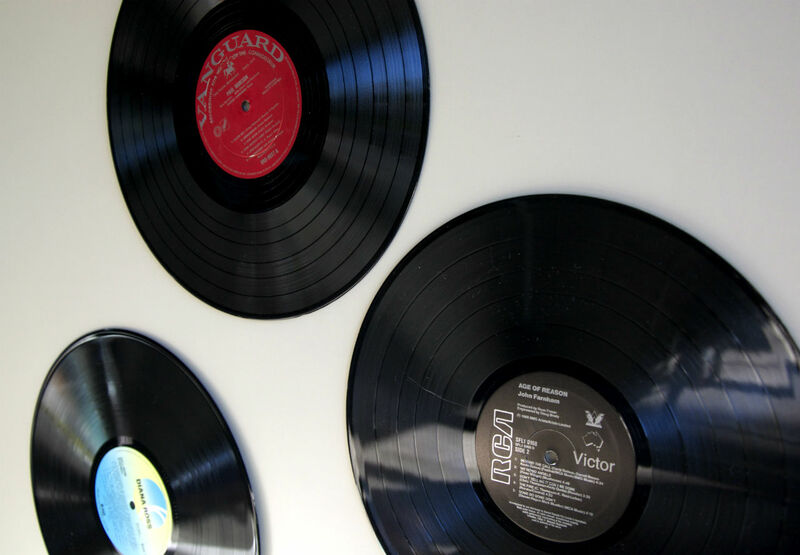 If you or your parents have old classic turntable records that you don’t use anymore, give them a wash and use them as decorations or even plates! You can print your own labels out to stick in the middle if you want a more modern vibe to this decoration, but the more retro the better I say! Use the records on the dessert table to layout your cookies, cupcakes and other delicious treats or use them as a centerpiece if your having cocktail rounds or tables at your event. If you are doing a more formal event that includes a sit down dinner, design each table as a different musical and use an item from each to put with a record as a centerpiece, such as a stuffed lion, a pair of glittery red shoes or a leather bomber jacket. The possibilities are endless! If you don’t have any records, go to your nearest junk store and buy some for as little as $2.00 a record. That’s what I did! If you are from the 70’s, 80’s or 90’s chances are you have one of the above mention stowed away somewhere in your garage, attic or basement. Bring them out, dust them off and use them as decorations! 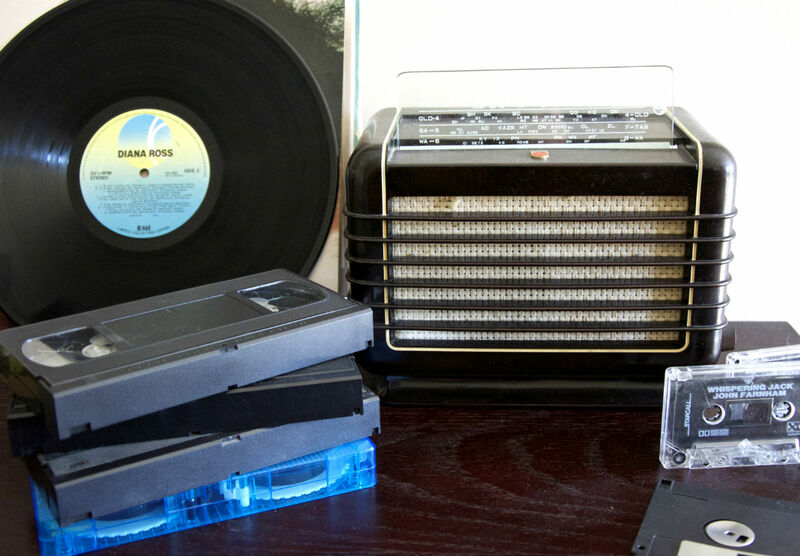 You can put them with the records as centerpieces, place them on the dessert table to spice things up or use them as invitations (write on the cassettes and send them out – how cool and retro an invite is that?). Again, if you don’t have some of these items hit the nearest junk store and stock up. It really doesn’t matter what they are because you aren’t buying them for their sound quality. And there you have it, a musical themed party where your guests tell the story. If you even want to provide some fantastical entertainment you could even put together a song and dance routine to perform to your guests, or if you have a bit more money to splash around you could hire a karaoke machine – that would work a treat! That means that you have so much left over to buy delicious cupcakes and food!!! Check out this Microphone Cupcakes recipe from Rachael Ray if you want some inspiration on what sort of food to make – and it’s dirt cheap too!